The federal government declared last week oil trains carrying North Dakota Crude to be an imminent hazard to public safety. That declaration makes clear the danger rumbling through communities. Yet, the stark federal warning of danger, however, underlines the inadequacy of federal action to make oil trains carrying North Dakota crude safe. Federal regulators merely required testing of each oil shipment and banned the use of the very worst or oldest tankers to ship it...just 3% of the tanker fleet. To be clear, the federal government did not ban the transport of the world's most explosive crude in non-puncture resistant tankers. Indeed, this morning North Dakota crude in large quantities is traveling in non-puncture resistant tankers, with the irresponsible blessing of federal regulators. Those tankers have been used in 4 explosive train derailments that have killed 47 people so far. Not willing to rely on the federal government, Governor Cuomo is acting to protect New Yorkers as large numbers of these trains rumble through the Empire state. Unlike Governor Cuomo, Governor Corbett does nothing to protect Pennsylvanians, even though the Commonwealth is the destination for 20% of the trains that the feds call an imminent hazard to public safety. Corbett's inaction is a dereliction of duty. At this point, both federal and state officials should require that North Dakota oil be transported only in puncture-resistant tankers. Unless and until they take that action, they are enabling the next oil train explosion! December 2013 was an historic and record month for biodiesel production. A monthly record of 135 million gallons was produced in December, capping off a record year in 2013. Biodiesel production topped 1.3 billion gallons in 2013, up about 35% from 2012 and smashing the previous annual record. More growth in biodiesel production is fully possible since existing biodiesel capacity can produce more than 2 billion gallons per year. Biodiesel is a domestic fuel, with a strongly positive energy balance, unlike gasoline. As such it is good for our economy and environment. Carbon emissions continue to increase rapidly around the world. The world's emission facts are grim, and finding major examples of declining emissions is, indeed, hard to do. But those hunting for good carbon news should look at carbon trends in Pennsylvania. Pennsylvania is a good news exception to oceans of bad carbon data. Indeed, few countries or states have cut carbon emissions more than Pennsylvania, since 1980, 1990 or 2005. Pennsylvania's carbon emissions in 2011 were lower than in 2005, 1990, and 1980, according to the most recent state emission data from the Energy Information Administration. EIA reports that Pennsylvania's carbon emissions were down to 244.7 million tons in 2011 from 272.9 million tons in 2005. That's a bit more than a 10% decline in 6 years. Additionally, Pennsylvania's carbon emissions were lower in 2011 than in 1990 or 1980, when they totaled 292 million tons. As of 1980, Pennsylvania's carbon emissions were more than 2% of the world's emissions. But, as of 2011, the Commonwealth's carbon emissions are now closer to 0.75% of the global total. Big reductions from burning coal and oil are responsible for Pennsylvania's sharply declining carbon emissions. The Commonwealth's carbon emissions from burning coal have fallen from 153 million tons in 1980 to 140 million tons in 2005 to 114 million tons in 2011, as both nuclear and natural gas displaced large amounts of coal generation as well as petroleum combustion. Apart from large changes over the last 30 to 50 years in how Pennsylvania generates electricity, Pennsylvania's decline in carbon emissions also reflects a structural shift in its economy from heavy industrialization to an economy now based on education, health care, and services. All those reductions make Pennsylvania one of the best carbon reduction stories in the world over the last 34 years. First, building a new nuke requires a utility to have an ironclad monopoly that makes its customers captives of the utility and the state regulators so that Wall Street is confident that the huge, costly investment made will be paid back by customers who cannot walk away from the debts incurred. Second, and related to the first requirement, competition laws must not exist in a state for a nuclear plant to be built. Retail electricity generation competition or laws allowing customers to choose their electricity generation competition kill new nuclear plants, because Wall Street will not make capital available for nuclear construction if a utility must compete to keep customers. Fourth, subsidies and tax breaks of all kinds that add up to billions of dollars must be paid. Again, the federal government obliged. Fifth, the federal government must offer massive guarantees of loans made. In the case of two new nuclear units in Georgia, the federal government is offering as much as $8.3 billion in guarantees. Sixth, building a new nuclear plant requires a utility management willing to put at risk the utility's financial health and regulators who still underestimate the financial risks to customers. Construction and budget overruns always happen with nuclear plants, and they can be financially disastrous for customers who get stuck with the bill or for utility shareholders or both. One thing not required to build a new nuclear plant is a permanent place to store the highly toxic nuclear waste that plants generate throughout their operations. These 6 requirements to build a new nuclear plant are all in place in Georgia, where the utility is building two new nuclear units that will each have a capacity of 1,100 megawatts. But Georgia and the Southern Company are proving to be the only place in the America, where all 6 requirements needed to build a nuclear plant do exist. Kudos to Russell Gold of the Wall Street Journal for his important article reporting on a comparative analysis done of the volatility of various kinds of crude from around the world. Of 86 types of crude tested, the analysis concludes that North Dakota crude is the most volatile! Watch out! This WSJ analysis is consistent with and explains the horrendous explosions that have resulted, when trains transporting North Dakota crude have derailed. One such explosion killed 47 people in Canada. Despite the especially explosive, dangerous characteristics of North Dakota crude, the New York Times reports North Dakota crude is still being transported in non-puncture resistant tankers. According to the NYT, neither the railroads nor crude producers are willing to make sure that North Dakota crude is transported in only puncture-resistant tankers. Meanwhile, possible federal regulatory changes, that would mandate North Dakota crude be transportant only in modern, puncture-resistant tankers, are moving at a snail's pace. Industry resistance and slow regulatory response means that virtually every train transporting North Dakota crude remains today a disaster waiting to happen. For those of living in Pennsylvania that is particularly disturbing, because about 20% of North Dakota's crude rolls through our communities. Yet, Governor Corbett continues to do nothing to protect the safety of Pennsylvanians, even as the response of the industries involved and federal regulators is completely inadequate. The WSJ analysis of the volatility of North Dakota crude is now powerful evidence and facts that the risks posed by transporting North Dakota crude in non-puncture-resistant containers are unacceptably high! Led by astonishing increases in wind and solar, non-hydro renewable energy sources have tripled the amount of electricity they generate in the last decade. Wind, solar, geothermal, and biomass electrical generation now provides 6.24% of America's power, while hydro provides another 6.63%. The boom in wind and solar continued in 2013, with wind jumping 19% and solar soaring 113%. Wind alone now provides more than 4% of all of our electricity. As impressive as the surge in non-hydro renewable power output has been over the last decade, 2014 will be another strong, even record year. Record amounts of wind and solar will be built this year, insuring that non-hydro power production will keep growing and soon will surpass the amount of power coming from America's substantial hydro generation. The Short Era Of Cheap Gas Ended In January: Has It Gone For Ever? Natural gas cost $13 for a thousand cubic feet in July 2008 and then plunged for 4 years, until bottoming at less than $2 in April 2012. Ever since April, 2012, natural gas prices have been marching upward and have reached record highs in some areas of the country. The Energy Information Administration reports that natural gas spot market or daily prices averaged $22 in the Boston market from January to February 18th. Spot market prices are always volatile and affected substantially by weather, but new record highs in an era of the shale gas supply boom is still notable. Non-spot prices have also increased significantly--by 150% to 200% from the April 2012 low--but have not approached record prices. The era of cheap gas that stretched from 2011 to 2013 has ended. Has it gone for ever? Surprise Fact: NOAA Reports January Globally Was Fourth Warmest! Those of shivering through a long, cold winter may not believe it, but this January was the fourth or third warmest globally, since temperature records have been kept. Don't believe it. NOAA says so! Indeed, January, 2014 was a full 2 degrees Fahrenheit warmer than the average January in the 20th century. Don't expect to see these facts on Fox News or on the editorial page of the Wall Street Journal. Instead, at those outlets, viewers and readers will get a steady diet of misinformation created by a stew of omissions, fringe opinion, and outright falsehoods. A major reason Colorado voters legalized Marijuana was to take it out of the underground economy and start taxing it to raise revenues. Projections were made, but actual tax revenues are higher than what supporters of legalization projected. "DENVER (AP) — Colorado's legal marijuana market is far exceeding tax expectations, according to a budget proposal released Wednesday by Gov. John Hickenlooper that gives the first official estimate of how much the state expects to make from pot taxes." The AP goes on to state that Colorado is including $99 million of new Marijuana tax revenue in its next budget. That tax revenue is generated from taxing a Marijuana market that will already exceed $600 million. Pennsylvania is more than two times the size of Colorado and could generate $200 million in new revenue from legalizing and taxing Marijuana. By doing so, it could eliminate also eliminate $300 million in marijuana policing, prosecution, jailing costs. The total in new revenues and eliminated costs is $500 million per year! My full Marijuana policy is available at: hangerforgovernor.com. The Energy Information Administration's 2014 Energy Outlook projects that 60,000 megawatts of coal-fired generation, or nearly 20% of the total, will retire by 2020 and very little more thereafter. Interestingly, the EIA forecast of coal retirements is considerably higher than the approximately 40,000 megawatts generation owners have so far reported will be retired. As of 2013, less than 20,000 megawatts of coal capacity had actually retired. Yet, even if one assumes that the EIA forecast is correct and that 60,000 megawatts of coal-fired generation retires by 2020, the total amount of coal-fired electricity generated may not fall by a substantial amount as a result of the retirements. Why? Many coal plants that are not going to be retired have relatively low capacity factors. Indeed, the average capacity factor of the coal fleet in 2012 was just 56%. As a result, many of the coal plants that will not retire can and will produce more electricity and replace some of the power that the retired coal plants once produced. Two factors will substantially determine whether coal plant retirements actually lead to less coal-fired power production. The price of natural gas and whether electricity demand rises or falls will directly impact whether the large amount of remaining coal-fired capacity runs more often and longer. Right now, these two factors are pushing coal-fired electricity output in different directions. Electricity demand is shockingly forecasted to actually fall through 2016 in the Midwest and is soft in other areas, as a result of the energy efficiency and distributed solar revolutions. Lower power demand will push downward both coal-fired and natural gas generation. While softening demand is bearish for coal generation, rising natural gas prices is bullish for coal power. In fact, if natural gas prices remain above $4 for a thousand cubic feet, coal plants are going to run more and displace gas plants, as they have been doing recently. The bottom line is that the large, coal retirements that will take place in the next few years do not mean falling coal-fired electric output. It is quite possible that the remaining coal plants that constitue 80% or more of today's coal fleet will run more often and longer. And so, in some cases, coal could replace coal. Shock Fact: Midwest Power Demand To Decline Annually Through 2016 Even As Economy Grows! A sure thing in the electricity business for decades was that demand would increase each and every year. Annual increases of 1% or more around the country were guaranteed. But shockingly, the days of ever increasing electricity demand are over, gone, dead, thanks to the energy efficiency revolution and rapidly increasing large amounts of solar distribution. The power of energy efficiency and distributed solar to drive down electricity demand from the grid is powerfully demonstrated by the news that power demand in the Midwest will fall for the next three years. Indeed, the Midwest grid operator is now forecasting annual power declines of about 0.75% through 2016. The new forecast replaced the previous projection that demand would rise nearly 1% per year. To be clear, the forecast of declining power demand is not driven by economic contraction. Indeed, the economy is forecasted to grow, even as demand from the grid falls. That is a stunning turn of events within the electricity industry! A common misperception is that coal plants operate around the clock at maximum output and so have high capacity factors of 90% or more. While the perception that coal plants have high capacity factors is common, the facts are quite different. Coal plants across the United States had an average capacity factor of just 56% in 2012. Why is the average capacity factor of coal plants well below 90%? Forced or unplanned outages, scheduled maintenance outages, and economics. Coal plants often do not run, because their operating or production costs are more expensive than alternative sources of generation--wind, solar, nuclear, geothermal, and natural gas in 2012, when spot natural gas prices averaged an incredibly low $2.77 per thousand cubic feet. As EIA reports, the capacity factor of the 10,214 megawatts of coal plants that were retired in 2012 averaged just 35%. The coal plants that run least are the ones that are the oldest, smallest, and highest production cost. As the least competitive plants retire, the average capacity factor of the remaining coal fleet will marginally improve. Rising natural gas prices almost certainly lead to higher coal plant capacity factors in 2013 and 2014, as coal plants displaced natural gas generation to a degree. Paradoxically, even though about 20% of the coal fleet will retire in the next few years, coal consumption may well not fall and could even increase, as the capacity factors of the remaining coal plants could rise. Simply put, in the next 5 years, America will have fewer coal plants, but the remaining plants may well run more. in 2014 as electricity demand grows and natural gas prices continue to rise. US coal consumption is almost completely driven by coal-fired power plants, and so coal consumption in 2015 will depend on whether coal generation's market share. In turn, the amount of coal combusted at power plants hinges on the price of natural gas. In short, if the price of natural gas in 2015 is the same or higher than it was in 2014, US coal consumption will likely remain stable or grow. Conversely, if natural gas prices fall below $4 in 2015, coal consumption will fall too. In truth, the so-called "war on coal" is a war between gas and coal. Is it right? Could global investment in energy efficiency be just $14.9 billion? That's the total Bloomberg reports the world spent on energy efficiency in 2013. The Bloomberg piece focuses on China surpassing the US in energy efficiency investments, a change of international position that is notable. But more startling is the report that global investment in energy efficiency is just $14.9 billion, as of 2013. That amount of capital spending is equal to about 2 nuclear plants or about 14,000 megawatts of natural gas plants in the USA or about 7,000 megawatts of wind energy in the USA. In short, it is a very small amount compared to global investment in generating new electricity supply. What counts for Bloomberg as an energy investment is not clear to me? Is it just utility and government expenditures? Looks like it does. Or does the Bloomberg number also include purchases of energy efficient products by families and businesses. Probably not. In which case, the Bloomberg number understates substantially the scale of global energy efficiency investment. The market share of renewable energy generation has been steadily rising on the strength primarily of the wind boom, with a recent assist from an explosion of solar power. But the biggest source of renewable generation power remains hydro, and droughts are cutting hydro power production. The 2014 stall in renewable generation gains will be temporary. America will install record amounts of new wind and solar capacity this year, and that new capacity will generate an amount of power equal to 5 to 8 nuclear plants. That surge in new wind and solar may be combined with a more normal hydro production total next year. And so, 2015 should see the total amount of renewable energy generation increase, and its generation market share also rise. As recently as 2008, coal's generation market share was 48%. Then it collapsed to 37% in 2012, as a glut of natural gas crashed the gas price and caused a large move from coal generation to natural gas. "Natural-gas-fired generation accounts for a 27.0% share of total generation during 2014, down from 27.5% in 2013 as a result of rising natural gas prices. In contrast, the share of generation fueled by coal increases from 39.0% in 2013 to 40.3% in 2014. Renewable energy sources, including hydropower, account for 12.9% of total generation this year, the same as in 2013." EIA projects no total increase in renewable energy generation, despite big gains for wind and solar, because major droughts will cut hydro production. Rising natural gas prices are good for coal, as coal and natural gas continue to be locked in a fierce almost daily battle for generation market share. One consequence of the rising market share for coal generation in 2014 is another year of increasing carbon emissions. This year will likely be the second year in a row of rising coal generation market share and increasing US carbon emissions. As for coal's prospects in 2015, EIA forecasts a loss of market share, with more coal plants closing next year. That forecast's accuracy, however, depends heavily on natural gas prices in 2015. Stay tuned. A new report documents that wind power is pushing down electricity prices in those states with substantial wind generation. Electricity prices actually fell in the top 11 wind power states from 2008 to 2013 but rose nearly 8% in other states, as is documented in the paper below. Wind farms lower electricity prices in a number of ways that are discussed in the linked to paper above. For example, in competitive power markets, wind farms displace the most high-priced power plants and lower the total market price by doing so, creating large savings for all consumers of electricity. In utility service territories, where consumers are captured monopoly customers, wind power avoids the large fuel costs for coal, gas, oil, and uranium that are otherwise charged dollar for dollar to consumers. Wind power is also a tremendous hedge against fossil fuel price volatility that is certain over medium to longterm periods. Wind's consumer benefits are really adding up in the 11 states, where wind already provides 7% or more of their electricity. That's a powerful fact that will be increasingly hard to ignore. Solar jobs are booming around the nation, with a national increase of 23,600, and solar jobs doubling in 18 states during 2013. The boom pushed America's solar jobs to more than 142,000 at the end of 2013. The solar jobs news is good nearly everywhere but not in Pennsylvania. Pennsylvania actually lost 1,100 solar jobs during 2013, leading the nation in destroying solar jobs. Tom Corbett's drill-baby-drill energy policy and his austerity economics has caused Pennsylvania to be a jobs creation disaster. In 2010, the last year of Governor Rendell's term, Pennsylvania added 87,000 jobs. By 2013, the third year of Governor Corbett, job creation fell to 18,000, and the Commonwealth ranked 48th. The 1,100 lost solar jobs in Pennsylvania during 2013 is part of Corbett's and Pennsylvania's terrible jobs record. Instead of losing 1,100 solar jobs, Pennsylvania should be part of the solar boom and would be with the policies that I support at www.hangerforgovernor.com. If you read faithfully the Wall Street Journal's editorial page, as I do, you will get a regular dose of columns and editorials bashing wind. Without fail, those columns are anti-wind and normally no better than poor propaganda, featuring faulty assumptions, factual inaccuracies, factual omissions, and outright falsehoods. A common theme of the WSJ's anti-wind propaganda is that wind power allegedly drives up utility rates or power prices. In fact, all over America wind power applies downward pressure to wholesale electricity prices, helps to limit retail rates, or actually cuts prices paid by utility consumers in some cases. That is the case for utility consumers in Oklahoma, where wind power cut rates by $53 million. That $53 million rate cut this year was just the first of several that wind power will deliver. Wind power has always cut fuel costs that utility consumers must pay for coal, oil, gas, or uranium. Now wind's capital costs are also often lower than those of other power sources. And the huge amount of wind pumping into most wholesale electricity markets pushes down prices. Wind power saves consumers money and makes America competitive. China installed last year an incredible 12,000 megawatts of solar power. That's more solar than the total amount of solar (approximately 10,000 megawatts) that has been installed in America. In 2013, America installed more than 4,000 megawatts of solar--a big number for sure. But the Chinese solar build proves that installing 10,000 megawatts or more of solar in a single year is fully possible. Indeed, doing so will soon be a regular feature of the global energy world, as the solar tsunami reshapes it. Coal spills and discharges of varying sorts happen thousands of times everyday somewhere in America. While the toll on rivers and streams is high, virtually none of the daily discharges of acidic water and other pollutants make the news. Yesterday, a coal slurry spill in West Virginia blackened 6 miles of Field Creek, and that did make the news, at least in WVA. Here is the link to the story: http://www.wvgazette.com/News/201402110032. Coal, oil, natural gas, and nuclear power must all be strongly regulated, zoned, and taxed, because they all impact the environment and pose safety risks. Indeed, yesterday a natural gas well exploded in a fireball in Pennsylvania, causing a fatality and injuries. Another exploded in North Dakota. Yesterday was one more of our daily reminders why renewable energy and energy efficiency must be accelerated. Why is new wind power now competitive with new natural gas plants in increasing areas of America? for low wind speeds; this effectively improves the capacity factor, further lowering the LCO." Wind is competitive with gas, because the wind industry has crashed the price of wind turbines and made them more productive at the same time. The result is the cost of electricity produced by a new wind farm in 2013 was the lowest in the modern history of wind power. Moreover, the cost of wind power will be still lower in 2014. Wind power is an engineering and economic triumph! How big is the electricity generated by Texas' wind farms? To answer that question, let's compare wind production in the Lone Star state to nuclear generation around the country. Even in 2013, Texas wind generated more electricity than nuclear did in all but 7 states! Yet, Texas right now is adding another 7,000 megawatts of wind capacity to its current wind fleet of approximately 11,000 megawatts. And so, by the end of 2014, Texas will have more than 18,000 megawatts of wind capacity. That 18,000 megawatts of wind capacity will produce about 60 billion kilowatt-hours of electricity in 2015, when it operates for a full year, or more electricity than nuclear produces in all but 2 states--Illinois and Pennsylvania. You read that correctly. Stunningly, by next year, Texas wind will produce more electricity than nuclear does in all but 2 states. Amazing!! And it won't be that long before Texas wind passes the number 2 nuclear production state--Pennsylvania. Finally, wind production--that is now about 10% of Texas' power--drives down power prices and helps keep the lights on, during periods of tight power supplies. In fact, power prices in Texas would jump without all the wind electricity in the its grid. Solar City is the nation's largest solar installer. Its stock price has exploded and so has its workforce. Solar City has added the equivalent of 1 employee every day for 6 years or more than 2,000! Solar jobs are booming, and they pay well. Solar installers are paid on average $23.63 per hour. That's not Walmart or poverty wages. Stunning Fact: Utility Scale Solar Provided 12% Of California's Power At Noon On February 7th! It is often said that, if California were a separate country, it would be the 8th biggest economy in the world. Stunningly, solar is increasingly powering California's big and growing economy. On February 7th at noon, utility scale solar provided 12% of California's electricity. Wow! And that stunning 12% does not include the massive amount of distributed solar deployed on roofs all over the Golden state. Counting only big solar farms or utility scale solar facilities, solar now is generating at some peak hours as much as 12% of the electricity used in California. Just amazing! Critics of renewable energy often attack wind and solar for being intermittent, as though plants that burn fuel or split the atom run all the time and without interruption. The idea that fossil fuel an nuclear plant are not "intermittent" is a great myth. Yesterday, California was reminded that gas plants have many vulnerabilities. They unexpectedly break down; must be out of service for maintenance; and sometimes don't have the gas they need to run. The cold around the country led to curtailment of gas to some power plants in California, and that caused a significant reduction in power supply. The reduction was big enough that the grid operator had to urge consumers to cut their electricity usage. Yesterday reminds once again that all power plants are intermittent. All have strengths and weaknesses. A reliable power grid will have a diverse power portfolio that should include renewable energy sources. Solar jobs are hot. They skyrocketed 20% in 2013 and are projected to jump another 16% in 2014. The California drought impacts substantially how the Golden State powers itself. In 2011, California got 21.3% of its electricity from hydro. With drought slashing river flows, hydro now generates 13.8% of its power. Ouch! Falling hydro production must be replaced by something else. And natural gas generation has provided the replacement. The fall in hydro production causes a sharp rise in natural gas generation that has shot up from 45% to 61% of California's total electricity. In other words, the share of its electricity that comes from gas has increased 34%, as a result of the drought. "Prices of solar modules have declined by 99% since 1976 and by about 80% since 2008. Total system costs for global, best-in-class utility-scale solar installations are now $1.55/W and expected to continue falling. As a result, power-purchase agreements (PPAs) for projects that are expected to be completed around 2016 have featured prices below $70/MWh." Total installed solar costs are now $1.55 per watt. Incredible! Solar power purchase agreements are being signed for the equivalent of 7 cents per kilowatt-hour, at a time when new natural gas plants cost 6 cents per kilowatt-hour. Utility scale solar is already competitive and attractive, especially given that its fuel costs are fixed for 30 years. But even lower solar costs are ahead. Indeed, the $1 per watt Holy Grail for solar pricing will now be achieved. Both utility scale and distributed solar are a combined tsunami of low-cost, zero-fuel cost, easily-built qualities that will smash business-as-usual in power generation markets. With the possible exception of oil, coal causes more and more serious water pollution than any other fuel source. The coal chemical spill in West Virginia remains in the news, with a grand jury conducting a criminal investigation. But the damage done to water resources in America as a result of coal production, unfortunately, is not a rare, one-time occurrence. Everyday discharges from old coal mines of highly acidic water and runoff from coal piles cause kill all aquatic life in streams in Pennsylvania and elsewhere. The cost of stopping these perpetual discharges runs into the tens of billions of dollars or more. And so most of these discharges into streams and rivers go on and on with no treatment whatsoever! Then there is the coal ash waste pollution threat to water. Coal ash is the waste product left after coal is combusted to make power. It is hard to store safely for decades and is often kept in big lagoons or ponds. There are many documented instances of the waste leaching into the ground and contaminating groundwater. In the worst cases, coal ash ponds suffer a catastrophic failure and large amounts of pollution hit rivers and surface waters. An example of such a catastrophic failure is the spill of 82,000 tons of coal ash into the Dan River in North Carolina. The coal ash came from the coal-fired power plants operating in North Carolina. This sure does make energy efficiency, wind, solar look better and better. The November electric generation scoreboard had two surprises. Nuclear generation jumped 14.6%, compared to November 2012, while coal plants output dropped 5.7%. As for natural gas, gas plants produced 3.7% more in November 2013. For the year, gas generation remains down and coal up. As is almost always the case, the big winners on the November generation scoreboard are wind and solar. Wind's output increased 36.4%, and solar soared 117%. While wind and solar soared, hydro production plunged 15.7%. The Eagles remain the champions of solar production in the NFL, with their 3 megawatt solar system. The runners up to the Eagles are the Redskins and Patriots, with their 2 and 1 megawatt solar systems. The Eagles have a tremendous record of environmental stewardship that includes clean energy production but much more like recycling and environmental education. It is said that the 50 states are the laboratories of democracy. In the last 4 years, Pennsylvania has been a a jobs laboratory, testing two competing and different policy prescriptions for the creation of jobs. Governor Rendell famously made investments in education, infrastructure, health care, and clean energy top priorities. He thought bond financing produced growth, as long as the projects financed with debt were productive and interest rates were low. He even raised modestly the state's personal income tax to pay for education and other investments. Rendell's last year was 2010, and his successor is Tom Corbett. Governor Corbett has pursued conservative budget and economic policies. He cut the use of bond financing, signed the Grover Norquist no tax pledge, refused to expand Medicaid and accept $4 billion per year of federal funding for hospitals, neglected or attacked clean energy, and proposed big cuts to education from kindergarten to higher education. Also, he has cut taxes to favored business constituencies. Moreover, he has put all his eggs in the gas drilling basket, opposing a tax on gas drilling. So, what are the results of the Pennsylvania jobs laboratory, where the Corbett and Rendell policy approaches have been tested? In 2010, the last year of Governor Rendell's term, Pennsylvania created 87,000 jobs, while having an unemployment rate well below the national unemployment rate. Pennsylvania actually ranked 7th in jobs creation in 2010, according to the Jobs Growth Index run by Arizona State University. Corbett's conservative policies are so toxic to jobs and growth that the Commonwealth's unemployment rate has been steadily above the national average since the summer of 2012. That's the facts! The latest job numbers confirm once again the jobs disaster in Pennsylvania that is now 3 years long. Pennsylvania ranks 48th in jobs growth, for the period December 2012 to December 2013. A truly awful 18,600 jobs were created during 2013 in the Commonwealth. That stinks! How badly does it stink? Well, without drilling one shale gas well, New York created 96,700 jobs during 2013, or more than 5 times as many as Pennsylvania. Governors affect job creation. Ed Rendell's last year was 2010, when the Commonwealth added 87,000 jobs. Governor Corbett's first year was 2011, when job creation crashed to 45,000 jobs. And the number of jobs created in the Commonwealth has kept crashing the longer Governor Corbett serves. In addition to trailing New York in job creation, Pennsylvania under Corbett badly trails Delaware and Maryland, two more neighboring states with Democratic Governors. Delaware ranks 6th in job creation and Maryland 23rd. Again Governors matter to job creation. The cause of Pennsylvania's terrible job creation is Corbett's commitment to a conservative mixture of austerity policies for education, infrastructure, health care, economic development programs, and clean energy, while pursuing ineffective subsidies and tax cuts for favored constituencies. That policy mixture has proven toxic to jobs creation in Pennsylvania. After a poor year for adding new capacity in 2013, the wind industry is in the midst of another historic wind boom. A record 12,000 megawatts of wind capacity is now under construction. Wow! How big is that wind boom? It will generate enough power to supply 3.5 million homes or an amount of power 4 to 5 new medium-sized nuclear power plants would generate! Texas is the epicenter of the wind boom, with an incredible 7,000 megawatts being constructed. The Lone Star state will be the first in the nation to reach the 20,000 megawatt wind mark, a truly extraordinary level. With turbines being constructed at a record pace, 2014 will break the record set in 2012 for new wind capacity. It will be interesting to see by how much the 2012 record is broken. Every year America retires old generation and builds new power plants. In 2012, the amount of new generation built was among the top years for new capacity. But the amount of new generation built in 2013 declined sharply. New generation fell to 14,207 megawatts from 29,710 megawatts in 2012, with a plunge in wind mainly causing the decline. New wind construction hit all time records of more than 12,000 megawatts in 2012, but last year was one of wind's weakest. Just 1,129 megawatts of new wind came on line during 2013. Wind will rebound in 2014 and may even challenge its record 2012 levels. Also, solar will set another annual record this year. The combination of higher amounts of new wind and solar generation insures that America will build more new generation in 2014 than in 2013. And a majority of it will produce zero air emissions and have zero fuel costs! That will make America cleaner and more competitive. Biodiesel production is booming, and Willie Nelson, a huge biodiesel booster, is smiling. Until recently, production rarely reached the 100 million gallons per month mark or about 1 billion gallons for a full year. By contrast, starting in April 2013, biodiesel production has been well above 100 million gallons per month for 8 straight months. In November 2013, production reached 128 million gallons. Current biodiesel production is reaching an annualized level of 1.5 billion gallons or 50% higher than the previous annual record. The next stop in the biodiesel boom is 2 billion gallons per year! Someone looking for a good paying job should consider the booming solar installation industry. The solar jobs growth rate is about ten times faster than the growth rate of jobs in the overall economy, so finding a solar job is getting easier and easier. The solar industry has a wide variety of positions, and good-paying solar installation jobs are among them. In fact, solar installations jobs average an impressive $23.63 per hour! Wind power provided 9.9% of Texas's electricity, during 2013. Wow! The portion of Texas's electricity generated by wind continues to rise. During 2012, wind generated 9.2% of the Lone Star's power. This year wind is likely to hit double digits, generating 10% of electricity in Texas. It has been a long time since natural gas last hit $5 per thousand cubic feet, but it happened this week once again. Falling to below $2 in April 2012, natural gas has been heading up since that bottom. In fact, from that bottom, natural gas prices are up about 180%. That big jump, still rising natural gas prices, and prices over the $5 mark are healthy reminders that natural gas remains a volatile commodity. Nobody really knows what gas prices will be a month, a year, or certainly 25 years from now. But everyone knows how much hydro, wind and solar will cost 25 years from today. Free fuel means price certainty. Consumers of hydro, solar or wind can today lock in their price of power for decades ahead. The 180% jump in gas prices reminds just how valuable is the price stability offered by hydro, wind and solar. After decades of price reductions, of course, wind and solar now offer competitive prices, in addition to price certainty of power produced over decades. The combination of a low and certain price makes hydro, wind and solar best values in the power markets, even without pricing the pollution avoided by them! Republican political strategists and many pundits agree that the 2014 Congressional elections will turn on public opinion of the Affordable Care Act or Obamacare. Count me as a skeptic of this piece of political conventional wisdom, but the Washington Post poll finds the country evenly split on Obamacare. Among registered voters, 47% approve and 48% disapprove of the program. Public support for the Affordable Care Act fell significantly, during the disastrous rollout of the federal website (14 states have their own websites). Support, however, has been growing again, as the Washington Post poll documents. Those screaming always about too much regulation have some explaining to do. The chemical spill in West Virginia that polluted the drinking water of 300,000 people and the North Dakota oil train explosions have the same root cause: too little and too lax regulation. In the West Virginia case, the tanks that stored two chemicals that leaked into the Elk river had been never inspected. Never! And that accident waiting to happen was not an accident. Apparently, West Virginia law gave no authority to environmental and regulatory agencies to inspect the storage tanks, even had state officials wanted to do so. The same pattern of lax regulation is apparent in the big business of transporting North Dakota crude by oil. Four oil trains transporting North Dakota crude in tankers that are old and not-puncture resistant have exploded in fireballs. Forty-seven people are dead so far. And why is so much volatile North Dakota crude transported in non-puncture resistant tankers? Various railroad interests have successfully delayed regulations and deadlines that would have phased out the use of non-puncture resistant oil tankers. The disasters in West Virginia and on our rails show the high economic and environmental price of too little and too lax regulation. We have been reminded once again that regulatory failure makes sure that accidents are just waiting to happen. The solar jobs machine is humming, actually booming. 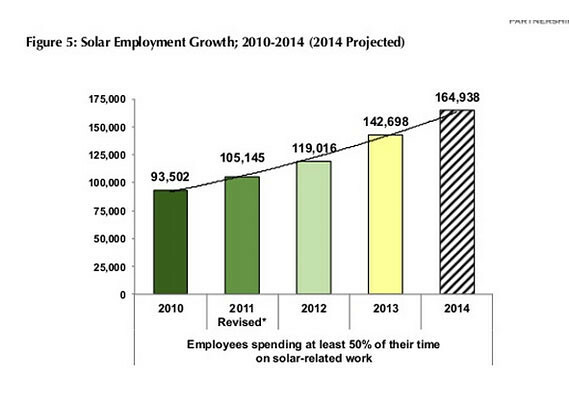 Solar jobs soared 20% in 2013. With an additional 24,000 in 2013, solar jobs now total 142,000 across America. That already about 1 of every 1,000 jobs in the country. Your odds of living near a home with solar and someone working in the solar industry are rising rapidly. The growth rate of solar jobs was about ten times faster than the 1.9% job growth rate for the entire economy during 2013. Yet, the best news is that the solar jobs boom is only getting started. The more I learn about the risks of transporting volatile North Dakota crude by train the more that I worry. The facts are ugly, really scary. For example, 92,000 rail oil tankers transporting crude are not puncture resistant! In one derailment, 18 of 20 tankers that derailed punctured and exploded. This is scandalous! Another scandal is the chemical spill in West Virginia that polluted drinking water to 300,000 people. The West Virginia chemical spill and oil train explosions have a common cause--too little and too lax regulation. Around the world, wind power enjoys broad public support, and that support has led to national governments offering financial incentives for the construction of wind farms. Solar will provide 11% of Pacific Gas & Electric by 2020. Just wow! Pacific Gas & Electric is one of California's two biggest utilities and one of America's biggest. That makes astonishing the fact that solar will provide 11% of its power in about 6 years! The American Petroleum Institute knows the danger posed by oil trains transporting volatile North Dakota crude in old, unsafe tankers that puncture easily. The API is demanding federal regulators take strong actions to strengthen regulation of oil trains carrying North Dakota crude. While the API is demanding strong and swift regulatory action, Governor Corbett sleeps. The Governor trots out a spokesperson to say that no action is being taken to protect the safety of Pennsylvanians living and working by oil trains rumbling through their communities. The Governor's response in the Pittsburgh Post Gazette to the oil train derailment in Philadelphia on Monday that follows 4 oil train explosions in America and Canada is disappointing and worrying. Pennsylvania is the destination of 20% of all North Dakota crude. It all arrives in the Commonwealth by rail. And so, there are a lot of oil trains rolling through Pennsylvania, and a great deal of the volatile, explosive North Dakota oil is being transported in tankers that are old and puncture easily. 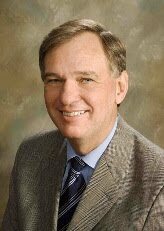 Those facts worry--a great deal--the American Petroleum Institute and me. Yet, Governor Corbett does nothing. That is the height of irresponsibility! Opened in 2001, the Mill Run Wind farm in Fayette County, Pennsylvania was one of the Commonwealth's first wind farms. It had 10 turbines, each with 1.5 Mw of capacity. I say it "had" 10 turbines, because on January 15th one collapsed--one could say that it had a meltdown. The cause of the collapse is unknown at this time. A collapse of a wind turbine is as bad as it gets at a wind farm. But wind at its worst does not cause 300,000 customers to lose water service. It does not cause a fireball that levels homes and kills 47 people sleeping in their homes, as happened with an oil train explosion in Canada. Wind at its worst does not cover vast portions of the Gulf of Mexico with oil. The turbine collapse in Pennsylvania is wind at its worst. Yet, another of wind's strengths is that, when wind is at its worst, the consequences do not threaten the health safety of thousands and vast areas. Unsafe oil trains, loaded with volatile North Dakota crude, are rumbling through Pennsylvania and around America. Four trains have already exploded in America and Canada. Then, during the early morning hours of Martin Luther King day, an oil train derailed in the City of Philadelphia and closed a major highway there. Catastrophe is tapping us on the shoulder! Regulation of these oil trains is so lax and the danger posed so serious that the American Petroleum Institute, an industry group, is demanding regulators take action. While the federal government fiddles, states must act immediately to protect their citizens. In Pennsylvania, Governor Corbett must take 4 emergency steps to strengthen greatly regulation of oil trains. First, he must require that railroads transporting North Dakota crude in Pennsylvania use modern, puncture-resistant tankers and not old, unsafe tankers that are being phased out. Second, he must make sure that the rails over which these trains travel are immediately inspected and the rate of rail inspections be greatly increased. Third, Governor Corbett must establish new, lower speed limits for oil trains and make sure those limits are enforced. Fourth, the Governor must impose a fee on each oil train to raise revenues that will be dedicated to paying for emergency preparedness and responses to oil train accidents. These four actions must be taken immediately and this issue requires strong leadership from the Governor. It is already late, and it was nearly too late on Monday to avoid a catastrophe. When the polar vortex visited the United States in January, climate deniers had a field day. The very people who say more intense hurricanes, longer droughts, and rising temperatures mean nothing were even ready to say that the bone-chilling temperatures meant that the global climate was cooling. While unseasonably warm temperatures followed the global vortex's last visit, we now have another round of snow in Pennsylvania and elsewhere, and so more clownish denial of global warming is assured. And the cynical game of misleading good people will be played once more. Yet, the scientific record grows, with NOAA just declaring 2013 the fourth warmest! That's science, not foolish denial. "The oil industry went further, blaming the railroads for failing to prevent derailments, and blasting regulators for not imposing new safety rules. 'The DOT needs to do more than just host meetings,' said Eric Wohlschlegel, director of media relations for the API." API's Wohlsclegel then said this: "We're calling on the DOT to take action." The API is rightly sounding the alarm about the lax safety of oil trains, loaded with flammable, explosive North Dakota crude. One such train exploded in Canada, destroying blocks of a small town and killing 47 people, many of them in their sleep. Three more oil train fireballs have taken place since then, though fortunately not next to homes. Despite the volatility of the North Dakota crude, these oil trains frequently transport the crude in tankers that are being phased out, because they too readily rupture. The oil trains that transport the North Dakota crude often move through major metropolitan areas like the Philadelphia region. And during the early morning hours of Monday night an oil train actually derailed in Philadelphia near a river and closed a major road for hours. The combination of the flammable, explosive North Dakota crude in old tankers that rupture too easily when derailed traveling within yards of homes and businesses is what has the API screaming for more regulation. Right now! Let me join the chorus! The United States Department of Transportation must act strongly now. But more must be done by state officials charged with protecting the public safety of their citizens. In Pennsylvania, I call on Governor Corbett to convene an emergency meeting to protect the safety of Pennsylvanians. The meeting must include state officials, railroads transporting North Dakota crude in the Commonwealth, municipal officials through which the trains now travel, emergency response personnel, American Petroleum Institute and others. The Governor should insist that the rails over which these trains travel be carefully and immediately inspected. He should further insist that trains carrying North Dakota crude in Pennsylvania transport it in modern, puncture resistant tankers and not ones that are being phased out as unsafe. He also must make sure that new, strict low speed limits for these trains be set and enforced. I also call for a fee to be enacted on each tanker of crude that is transported in Pennsylvania that would help pay for the equipment and training first responders must have so that they can respond effectively in the event of an oil train explosion. Yesterday's train derailment in Philadelphia provides one more warning. It warns that the risks of a mass casualty disaster are far too high, in many communities, as a result of an oil train derailment and explosion. There is no time to waste in order to protect public safety. Sometimes long shots win. The odds three years ago of Tesla reaching the levels of success it has already obtained were small, even miniscule. Today, more than 25,000 Teslas are powering around the world's roads and Tesla's sales soar. Sales hit the record level of 6,500 cars in the fourth quarter of 2013. Weekly production is now about 600 cars. Tesla has won a growing place in the world's luxury car market. But can it move into the mass automobile market. At this point, the odds of Tesla successfully moving down market with more affordable cars are probably no better than 50-50. But, in Tesla's world, those are good odds! Toyota is the father and leading manufacturer of hybrid vehicles, with the now iconic Prius being the first in 1997. Since 1997, Toyota has sold 6 million hybrids, a big success over the last 17 years. Over that period, Toyota hybrid sales averaged about 350,000 cars per year. But the pace of Toyota's hybrid sales is exploding. In the above story, Sebastian Blanco reports that Toyota has sold 1 million hybrids in the last 9 months. That works out to a sales rate 4 times faster in the last 9 months, compared to the rate over the last 17 months. Toyota hybrid sales are accelerating like a Tesla. Wow!! The global solar industry is going to build the equivalent of 14 new nuclear plants just next year, according to Deutsche Bank. And any surprise would be an upside one. Deutsche Bank specifically forecasts a global solar build in 2015 of 56,000 megawatts. That number is truly extraordinary. But as big as 56,000 megawatts of solar is, it will be eclipsed in 2016 and the years thereafter. Just amazing facts! Bloomberg News has a story about EPA relying on the gas company whose practices may have contaminated water wells to perform the water tests central to its investigation. The case is from Texas, involves Range Resources, and is highly controversial. The regulatory practice of relying on the drilling company who is being investigated for possibly contaminating water wells must come to an end. These investigations are complex and difficult. They simply cannot be managed appropriately, without fully independent testing of the water. And so, I have called for a new office in Pennsylvania that will conduct professional, independent testing and investigations of complaints about gas drilling. The EPA should do the same at the federal level. David Crane runs a big energy company that owns many traditional power plants--coal, gas, nuclear. But Crane is not a typical traditional energy executive and proves it by positioning his company to prosper also in an energy world turned increasingly upside down by distributed generation, energy efficiency, electric cars, and zero-carbon power. In a remarkable piece, taking apart a 60 Minutes infotainment done two Sundays ago, Crane states two disruptive facts that are still not widely understood in large parts of the energy world. First, wind is now the lowest cost source of new electricity power in wholesale markets. Second, rooftop solar is cheaper than retail grid power already in more than 20 states. When delivered by those in the environmental community, these facts are discounted. Perhaps, the message conveyed by David Crane will be heard more broadly, though it flies in the face of the propaganda spun by 60 Minutes, which is becoming a relative of Fox And Friends. As more states legalize Marijuana, legal sales are climbing to more than $2 billion this year. Legal sales drain the underground market of revenue, create tax revenues, and avoid enormous costs to arrest and prosecute hundreds of thousands of people. Charting the growth of the future Marijuana market is highly speculative. But that does not stop such speculation. In the above story, one analyst forecasts the legal Marijuana market will exceed $10 billion in 5 years. My Marijuana legalization and taxation plan is available here: www.hangerforgovernor.com. The plan could stop wasting about $300 million per year spent on arrests and prosecutions and could generate as much as $200 million in new revenue. WVA Republican Says Right Before Chemical Spill: "We Are Regulated To Death." Just hours before an essentially unregulated business in West Virginia spilled chemicals into the Elk River, a Republican member, Mr Azinger, of the West Virginia Legislature said: "We are regulated to death." "Freedom Industries" (you again cannot make this up) has 13 tanks that can store 4 million gallons of chemicals right next to the Elk River, a principal drinking water source for at least 300,000 West Virginians who have been told not to use their public water supply for anything other than flushing toilets. The no-drink, no-wash, no-bathe order resulted from Freedom spilling the chemicals it supplies to the coal industry for cleaning coal (again you cannot make this stuff up) into the Elk river and polluting drinking water. So when was the last time environmental regulators inspected Freedom's operations? Since Mr. Azinger screams about regulation-to-death, surely recently and frequently would be the answer. The last time Freedom was inspected by environmental regulators was apparently 1991! This West Virginia case shows how important strong regulation is to public safety and a good economy. Also, it demonstrates the folly of putting toxic material storage right by rivers and without proper leak and spill protections to compound the danger. Finally, Freedom Industries proves that the Pennsylvania Supreme Court rightly struck down Act 13 and restored the right of municipalities to separate industrial activity from residential areas, if they wish. A key economic variable in the financing of wind farms and other power plants is the wholesale price of electricity. Wholesale prices skyrocketed to 10 cents per kilowatt-hour in 2008 and then plummeted to 4 cents or less by 2012. But 2013 was a different story. Wholesale prices are up across the country but especially so in the New York and New England markets. Indeed, the regional variation in wholesale prices during 2013 were truly super-sized. Power prices were lowest in the South and highest in New England and New York. Prices ranged from 3.4 to 6.5 cents per kilowatt-hour, creating winners and losers as well as possibly future opportunity. Importantly, the wholesale power prices in New England and New York are just about high enough for wind farms to be financed on a merchant basis, if they were to continue. But will they? Time will tell whether the region has shifted to wholesale power prices above 6 cents or will revert to prices in the 4 to 5 cents range. If they have shifted to 6 cents and higher, look for a rush of wind farms into New York and New England. You have heard it from some quarters--the story that New York's economy is a mess, in part because of its refusal to drill shale gas wells. These critics of job creation in New York often also say that jobs are plentiful in Pennsylvania, where gas production indeed has boomed. Even journalists not toeing the conservative media line have offered versions of this tale of two, neighboring states. But the tale that New York is a jobs desert, while Pennsylvania is riding a natural-gas jobs boom, is fiction and not fact. In fact, New York created 4 times as many jobs as Pennsylvania from November 2012 to November 2013. Over that period, New York created 128,000 new jobs, without one shale gas well, while Pennsylvania produced a paltry 32,000 new jobs. Job creation has collapsed in Pennsylvania since 2010, when the Commonwealth added 87,000 jobs and ranked 7th in jobs growth. Now what happened at the end of 2010? Your hint is that Governors and their policies matter. These are bad days for critics of wind power. Wind is America's lowest cost source of new electric power in large areas of the country. Wind power continues to grow strongly. And arguments used to attack wind keep getting knocked down by stubborn facts. For example, a common claim is that wind turbines depress home prices. To some, that claim is plausible. But what do the facts show? Done by researchers from the University of Connecticut and Lawrence Berkeley National Laboratory, a study looked at 122,000 transactions in Massachusetts near wind turbines from 1998 to 2012. The study is exhaustive and impressive. It's findings are clear. Wind turbines do not impact housing prices or the rate at which homes sell. Will this or other similar studies stop critics attacking wind and falsely asserting that wind turbines hurt home values? Probably not. But hope springs eternal that policymakers and media will know better than to take seriously such claims. Record Fact: US Solar Industry Installs 1,400 Megawatts In 4th Quarter! The sun has never shined more strongly on the US solar industry. It has set records for capacity installed in a year and in a quarter--4,200 and 1,400 megawatts respectively! These are stunning numbers. They mean the solar industry already is each year generating an additional amount of electricity equal to a new nuclear plant. They mean that the solar industry is employing ever more people. Indeed, the solar industry already employs considerably more people than there are coal miners in America. That is an extraordinary transformation. But the good news for solar power in America is just getting started. This year will bring new records. New York is not drilling shale gas wells, but it is going big into solar. In his budget address, Governor Cuomo announced a $1 billion boost for the NY-Sun Initiative. The $1 billion investment will be made over ten years and will build 3,000 megawatts of new solar capacity. That works out to a state subsidy of about 33 cents per watt or about 10% of the national average installed cost for solar in 2013. Even as recently as 2010, a state subsidy of 33 cents per watt would have hardly made a difference to demand, because the total installed cost was about $6 per watt. Yet, in the last 3 years, the price of solar has fallen rapidly and now a subsidy of 33 cents per watt will spur demand. Governor Cuomo's $1 billion solar program is a big deal and yet one more reason why the EIA 2040 solar capacity forecast is way, way, way off! As New York bets on solar, here is another question: which state has produced more jobs since 2011--New York or Pennsylvania? Critics of renewable energy often point to coal, gas, and nuclear plants and assert that they operate whenever power systems are at peaks. They suggest that renewable plants are "intermittent" and not reliable, but coal, gas, and nuclear plants are fully dispatchable and, therefore, are reliable. No power plant operates all the time. They are shutdown for planned maintenance often for weeks every year. And power plants also breakdown, like a car not starting, when you need it to run. In the vicious cold of the last few weeks, winter demand soared to a record within PJM to more than 138,000 megawatts. That demand was high but fortunately much less than the system's total capacity. An incredible 36,600 megawatts of supposedly fully dispatchable capacity--nearly all coal, nuclear and gas--broke down in the cold. Some gas plants could not run, because they had no gas to burn. PJM's cold weather experience reminds that no generation technology can absolutely guarantee that it will be able to run at periods of daily, monthly, annual or historic peak demands. In truth, all power plants, not just wind and solar capacity, are "intermittent." As recently as 2008, coal had a generation market share of 48%, and then cheap gas caused coal's market share to collapse to 37% by 2012. Coal lost an incredible 22% of its power generation market share in just 4 years! But gas prices started rising in the second-half of 2012 and have continued rising through early 2014. With rising gas prices, coal's decline in power market share reversed and rose to 39.1% in 2013, though coal's market share was below 40% for the last 2 years. natural gas share rises back to 27.6%." Again fueled by rising gas prices, EIA expects coal to have another good year in 2014, with its market share breaking above 40% for the first time in two years. But coal's good times looks to be brief. EIA expects coal will lose market share once more starting in 2015, when substantial coal capacity will retire rather than install pollution controls to limit mercury and other toxic emissions. Uncle Sam had been on a carbon diet for most of the last 6 years, as carbon emissions declined. The brief era of regularly declining carbon emissions, however, ended in 2013, when carbon emissions rose 2.1%. EIA also forecasts that emissions will rise modestly again this year. Coal generation's market share increased from 37% in 2012 to 39.1% in 2013 and is projected to reach 40.2% in 2014, before declining to 38.6% in 2015. The rise in coal generation increases carbon emissions. The rising price of natural gas is costing it considerable electricity generation market share--about 10% of its 2012 market share by 2014. Indeed, in 2013, natural gas's market share dropped from 30% to 27.5%. Gas's market share loss has been coal's gain. 2014, down from 27.5% in 2013 as a result of rising natural gas prices." Only by 2015 does EIA project that gas will start gaining again. "EIA expects the share of coal to fall to 38.6% of total generation while the natural gas share rises back to 27.6%." Why does EIA project a reversal of fortune for gas in 2015? Significant coal retirements will take place by 2015 as a result of the EPA's rule regulating mercury and other toxic air pollutants that take affect that year.